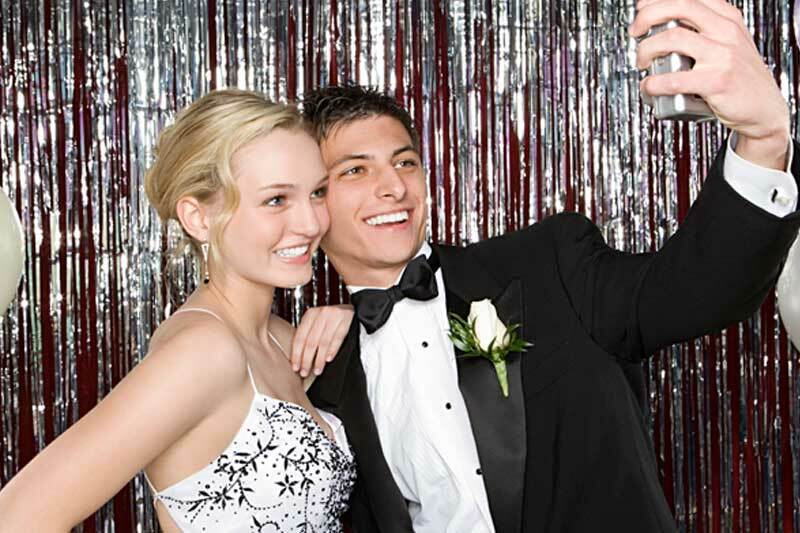 Chicago Tuxedo | Chicago Tuxedo Rental | Chicago Tux Rental | Chicago Wedding Tuxedos | Chicago Prom TuxedosEmanuele Tuxedo Rental | Call Emanuele Tuxedo today, and look your best! With over 40 years experience and expert onsite tailors, Emanuele Tuxedo is able to ensure the best fit for you. 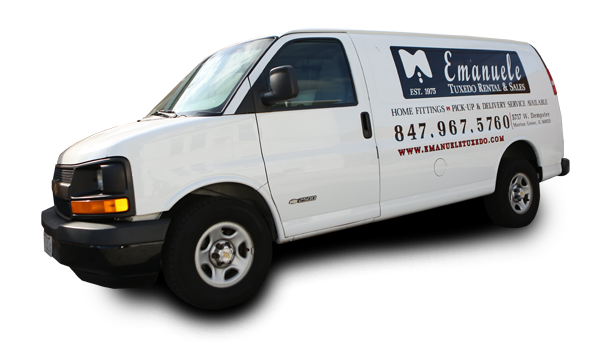 With our exclusive delivery service, Emanuele Tuxedo offers home fittings and will personally deliver & pick up tuxedos. 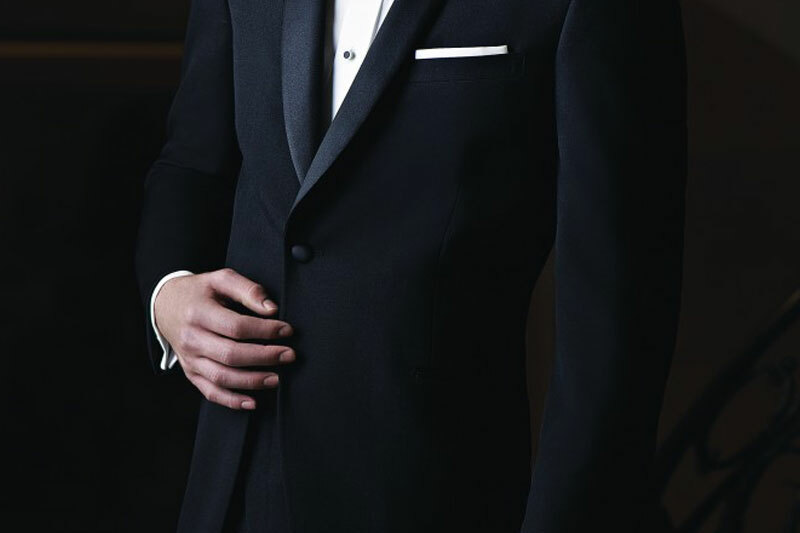 We pride ourselves in the attention to the finest detail by customizing each tuxedo with our personal formalwear consultants and expert tailors. Emanuele Tuxedo can capture your personal style from traditional to most expressive starting at $70.00. Become a Prom Rep and earn a free tuxedo. Emanuele Tuxedo will help you choose the tuxedo that has the best fit, style and color for your quinceañera event. Our focus has always been on service and customer satisfaction. 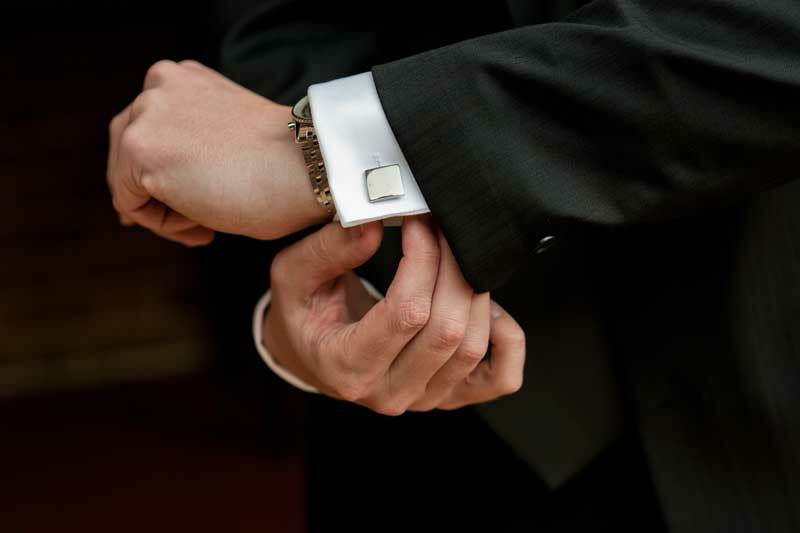 Our one-of-a-kind Drop Off and Pick Up service saves you time and reduces stress both before and after your big day: We will deliver the tuxes for your entire party, performing last minute fittings if needed, and pick up everything afterwards, saving you another trip. Our unparalleled commitment to quality service is what sets us apart. 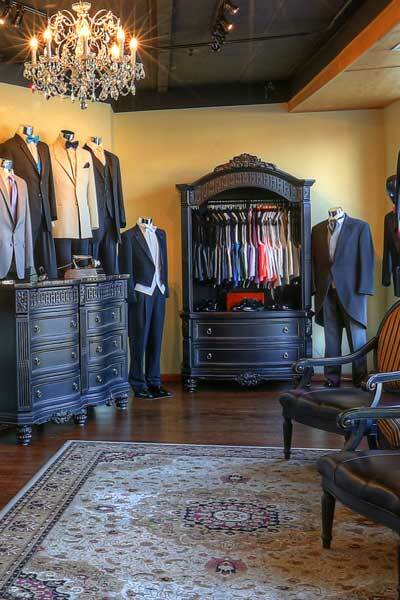 We will have you looking your best, and make the entire experience of selection and fitting easy and enjoyable. Providing the best selection of styles & colors in the Chicago land area. We have a style for you! Take advantage of our exclusive delivery service. Have your tuxedo fitted, delivered and picked up at your location. We capture the unique essence of every man by providing exquisite formalwear that compliments each individual style, from the traditional to the ultra contemporary. 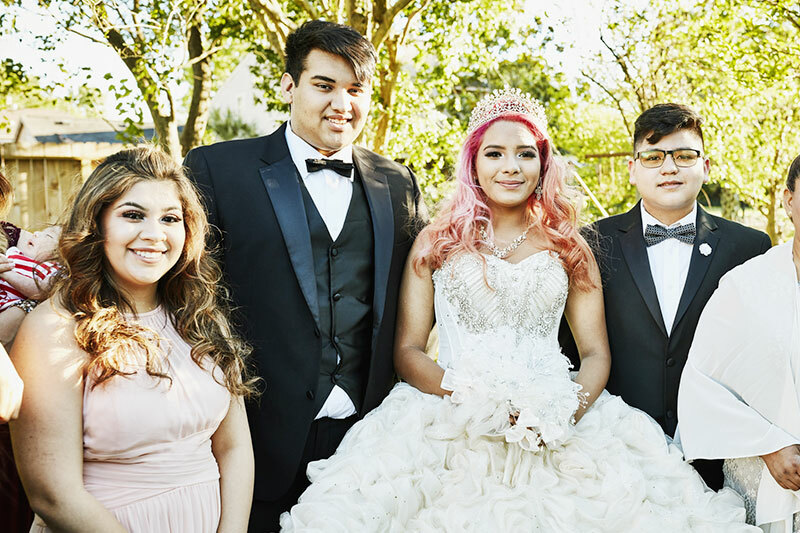 Our friendly, formal wear consultants at Emanuele Tuxedo will help you choose the tuxedo that has the best fit, style and color for the quinceañera event. 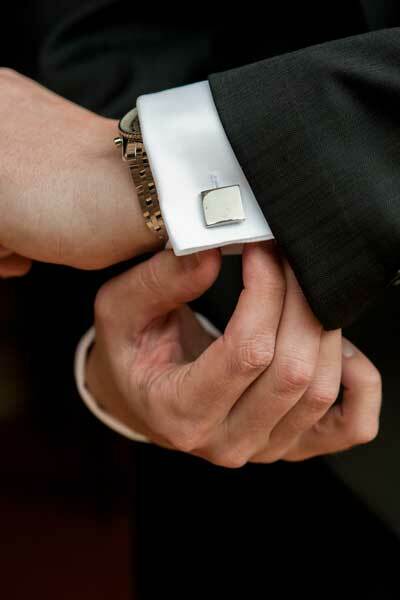 For your convenience, Emanuele Tuxedo offers same day service with our in-stock tuxedos and onsite tailors. Pete is amazing! The selection is top notch, quality of both materials, and tailoring was perfect and they carry high end brands as well for something extra special. I love this place and will come back here for sure! The best shop around. Also, great customer service. Peter was amazing. Pete “The Tailor” did great for my wedding and custom tailoring shirts. Call Today for the Best Tuxedo in Chicago!